With this article we begin a new series, GoneReading‘s Must-See Destinations for Readers. And where else to begin than the “mother ship” as I refer to it, the United States Library of Congress. I first visited the “LC” last summer shortly after moving to the DC-area. Although I had been to Washington dozens of times, like many people, the Library simply wasn’t top of mind. An incredible oversight for this bibliophile. So what is the Library of Congress anyway? According to its website, the Library’s mission is “To support the Congress in fulfilling its constitutional duties… ” Which explains the tunnel between the U.S. Capital and the Library itself. The Library was originally formed in 1800 to make sure that Congress had access to the world’s most important written knowledge. A noble goal in any era; more notably so at a time when libraries barely existed in the U.S.
Over time the Library’s mission expanded to include “(furthering) the progress of knowledge and creativity for the benefit of the American people.” The Library is, above all, a massive collection of information, impressive even in the Internet era. 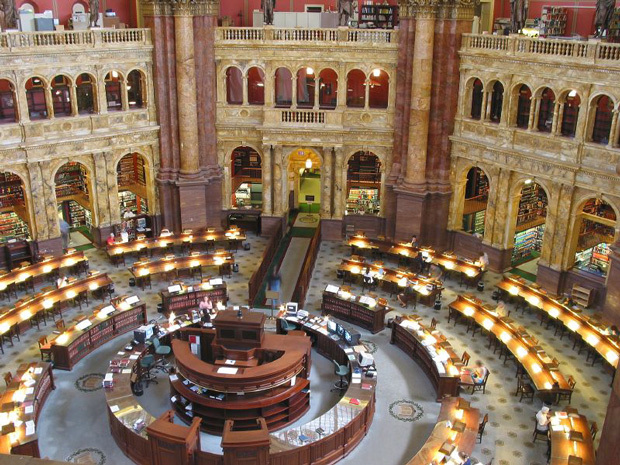 Why should you visit the Library of Congress? It’s incredibly beautiful. I’m not sure there is a building in all of Washington with a more grand, artful, ornate, palace-like interior. Bring your camera. The exhibits. Think of the Library as a museum for bibliophiles and book lovers. The rotating exhibits are world-class, on par with the best of any major museum. Thomas Jefferson’s Library. After the original Library of Congress was burned in the War of 1812, Jefferson sold his personal book collection to the United States, forming the nucleus of the new Library. His vast collection is now set aside for all to see. If you love perusing bookshelves it simply doesn’t get any better than this. I literally shivered to see, up close and in person, the actual volumes that Jefferson read. The message it sends to your kids. The grandeur of the Library, its vastness and beauty, sends a clear message: Reading is important, something to be cherished and valued. While this message resounds for all, its impact on children is especially indelible. Not to be forgotten, the Library is a working library available to all “researchers” aged 16 and up. It does take a little advance planning, including a registration process,in order to access the collections. And as you might expect, there is a gift shop. I couldn’t help myself during my first visit. And although I think the staff was as surprised as anyone, I left the Library with my very own baseball cap from the LC. I wear it almost every weekend with proud distinction, much to my wife’s chagrin. 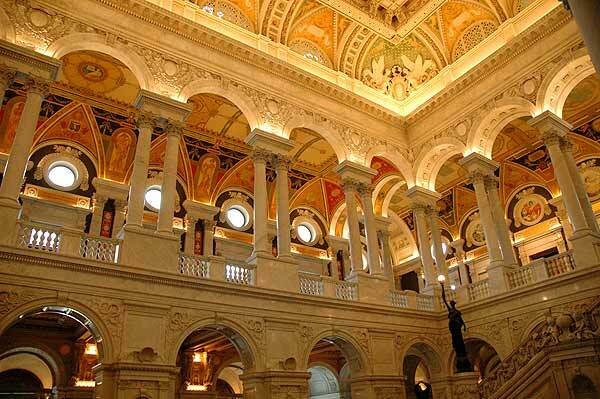 For visitor information on the Library of Congress, click here.